Job seekers can send in their Sherwin Williams application for a chance to work for one of the most successful companies in the construction materials industry. Founded back in 1866 in Cleveland, Ohio, the company now operates worldwide. It has over 4,300 locations spanned all over the world and over 37,600 employees. Its impressive development has earned it a spot on the prestigious Fortune 500 list. The Customer Services department can be reached by phone at 1-800-4-SHERWIN (1-800-474-3794) between 8:30 A.M. and 8:00 P.M. from Monday to Friday and between 9:30 A.M. and 5:30 P.M. on Saturdays and Sundays. 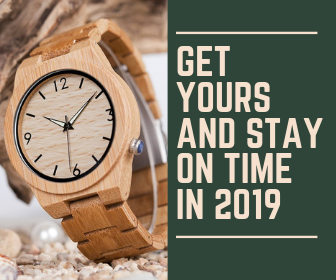 Customers may also submit a Contact Form online and the company representatives will provide them with an answer in 2 business days at the latest. According to the official Sherwin Williams employment policy, all candidates for employment are required to be at least 18 years old to be deemed eligible for the hiring process. Please note that all younger applicants will be automatically excluded, as this is one of the core eligibility criteria enforced by the company. Job seekers interested in Sherwin Williams careers can find all the job openings available at the company on their official employment portal. They can conduct a personalized search by choosing the job department and the location they are interested in. The portal will display all the open positions that are in line with their selected criteria. They can then analyze the job requirements and the responsibilities of the positions by going through the job descriptions of the available Sherwin Williams careers. When they find the best jobs for their skills, they will have to fill out an online form and submit it online. To do so, they will have to create their own profile on the Sherwin Williams application form. The portal will ask them to provide their e-mail address to set up the account. They will also get to choose their own password to keep their accounts safe. This is the first section of the Sherwin Williams job application form. Job seekers are required to mention how they have heard about the job they are applying for. The information they provide will help company representatives optimize the visibility of their job listings. 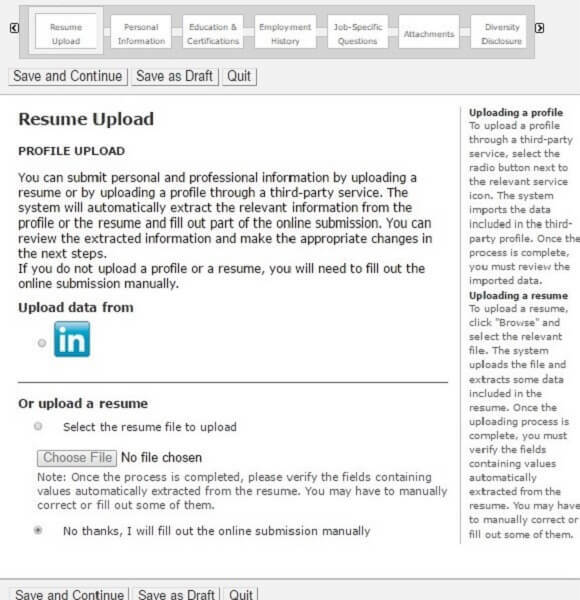 For this section of the Sherwin Williams online application form, candidates may upload their resumes/ CVs to use the data-fill tool available on the portal. This will extract the relevant information in their resumes and use it to fill some of the fields in the form. 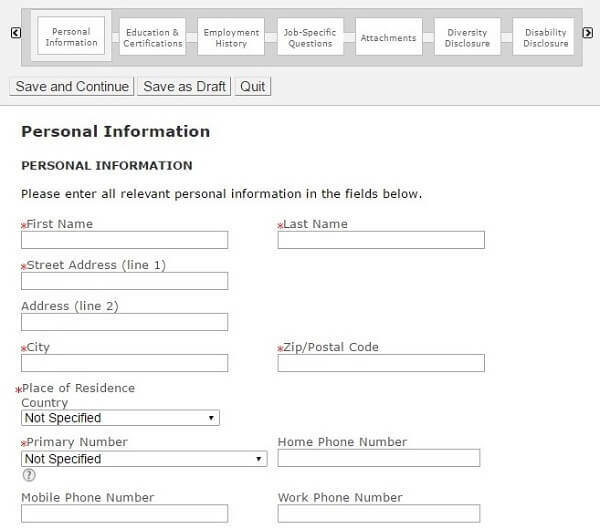 This tool is very useful because it shortens the time spent by applicants filling out their forms. For this section of the Sherwin Williams online application form, candidates are required to include their main contact information. The company’s HR representatives will use this information to identify them and to contact them regarding the interview process. Please note that this section is mandatory. For this section of the Sherwin Williams online application form, candidates can include information about their academic background. They may provide details about the academic programs they have been enrolled in, as well as the certifications they have acquired throughout their formal education. Please note that this section is entirely optional. This section of the Sherwin Williams job application form requires candidates to include information about their professional background. They are required to provide details about at least one of their previous jobs. 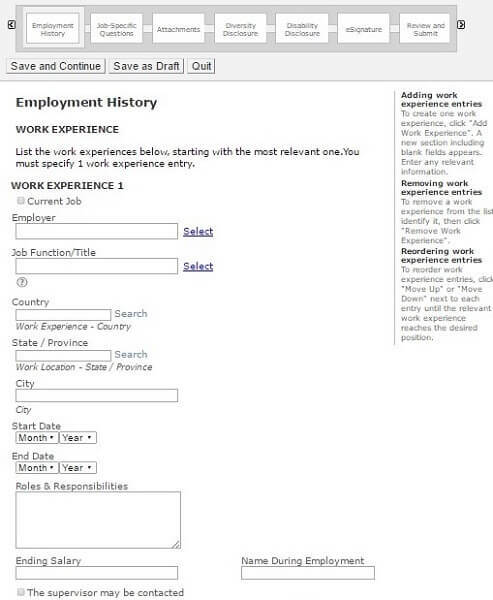 To include more entries, candidates will have to click on the Add Work Experience button at the bottom of the page. This section of the Sherwin Williams job application form features a short questionnaire. This is meant to assess if the candidates are able to comply with the main employment eligibility criteria enforced by the company. They will be asked about their age and their legal authorization status for United States employment. They will also be asked if they have ever been employed at Sherwin Williams prior to the date of their application. 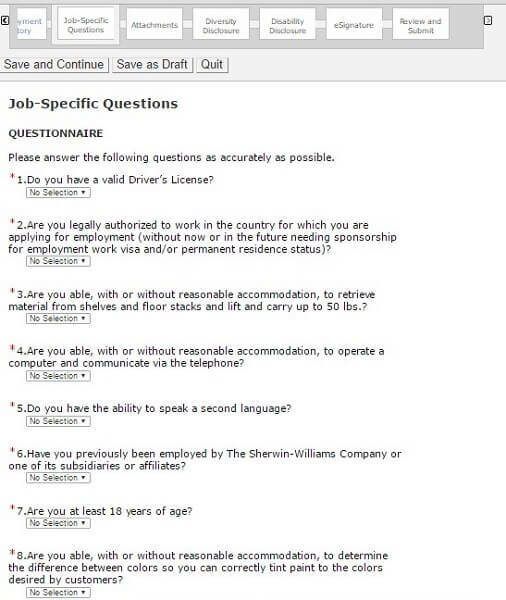 The questionnaire may also include questions regarding job-specific demands, such as a driver’s license. Please note that this section is mandatory. Candidates must go through the entire questionnaire to be able to submit their forms to the Human Resources department. For this section of the Sherwin Williams job application form, candidates may provide their resumes, along with all the additional documents they consider useful for their application process, such as diplomas, transcripts, or references. They may also attach cover letters to this section. Please note that this section is optional. For this section of the Sherwin Williams online application form, candidates must answer three questions. 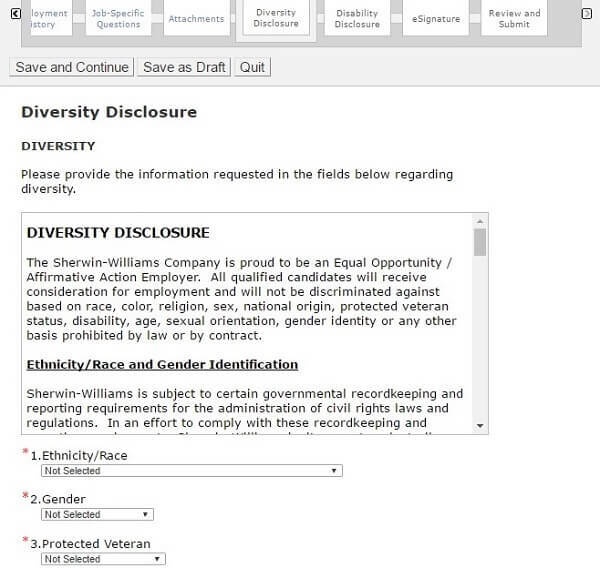 These are targeted to gather information about the race, gender, and protected veteran status of the job seekers applying for Sherwin Williams employment. Please note that these questions are labeled as mandatory. Thus, candidates will have to choose one of the provided answers. However, they are not obligated to provide any type of information they do not wish to share with the Sherwin Williams employment specialists. They may choose the “I prefer not to answer” options and simply continue to the following sections of the form. For this section of the Sherwin Williams job application form, candidates may include information about any disabilities they may have. As for the previous section, they are not obligated to provide any information they are not comfortable sharing. If they do not wish to disclose their disability status, they may select the “I prefer not to answer” option and proceed to the following section. 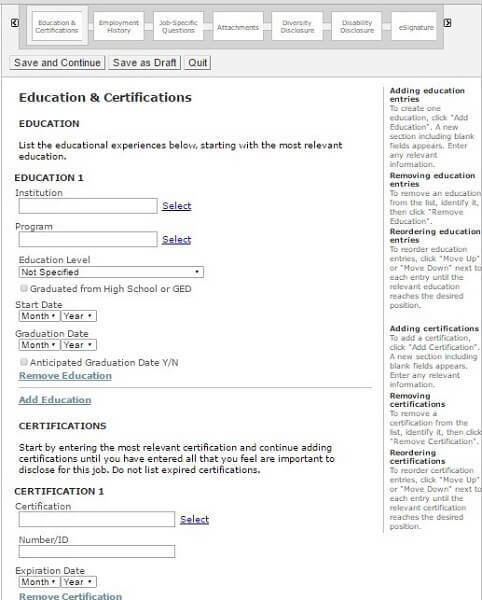 For this section of the Sherwin Williams online application form, candidates are required to read the portal’s Privacy Agreement and certify that all the information they have provided is correct and complete to their best knowledge. To validate the document, they must provide their electronic signature to this section. This is the final section of the Sherwin Williams online application form. Applicants will be able to go through their filled out forms and check for any mistakes that may have slipped through. When they are done proofreading their forms, they can submit them to the Human Resources department for assessment. Job seekers can find the updated list of Sherwin Williams careers on the company’s employment portal. According to the official application process, they will have to submit their employment forms online to be considered for their chosen careers. Young professionals seeking to get experience in the building materials and constructions sector are well advised to apply for an internship at Sherwin Williams. They will get to experience first-hand what it is like to work as part of one of most successful companies in the industry. Intern salaries are typically negotiated during the interview process. Usual Sherwin Williams salaries for this position range between $11.00/ hour and as much as $16.00/hour. Job seekers aiming for Sherwin Williams careers in management can find the complete list of job openings on the company’s official employment portal. They will have to fill out their application online to be considered for their chosen position. Healthcare Sherwin Williams Employee Benefits: Medical Plan, Dental Plan, Vision Plan. Insurance Sherwin Williams Employee Benefits: Basic Life Insurance, Basic Employee AD&D, Optional Employee Life Insurance Plan, Optional Dependent Life Insurance Plan, Voluntary Employee and Family AD&D. Retirement Sherwin Williams Employee Benefits: Company Paid Pension Plan, Stock Purchase Program, 401(k) Program. Financial Sherwin Williams Employee Benefits: Competitive Sherwin Williams Salaries, Performance Bonus System. Paid Time Off Sherwin Williams Employee Benefits: Paid Holidays, Paid Vacations, Sick Days. Special Sherwin Williams Employee Benefits: Global Wellness Program, Sherwin Williams Employee Discounts, Tuition Assistance, Adoption Assistance Program. Please note that the exact structure of the benefits packs depends on the career level and the department where the employees operate. The Sherwin Williams application form is quite easy to fill out. 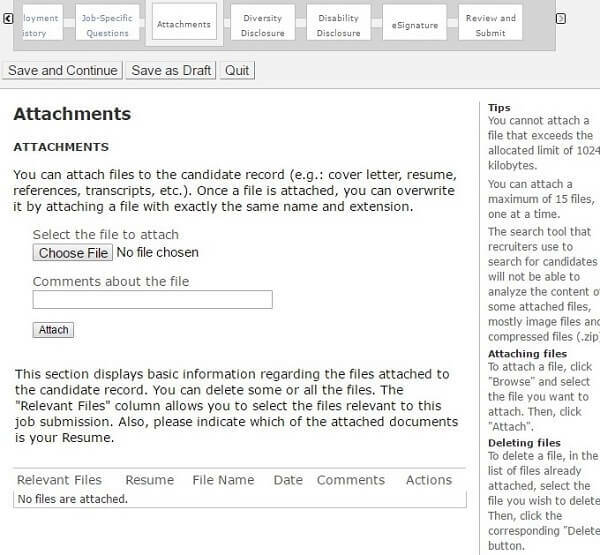 Candidates should expect to spend approximately 30 minutes to complete it, provided that they have access to the updated versions of their resumes. If they wish to include a cover letter, they should write no more than one page. They should focus on the personal traits that make them a good fit for Sherwin Williams, rather than simply restate the information in their resumes. They should also include a paragraph regarding their interest in the company and their main reasons for applying at Sherwin Williams. This will be very important to the hiring specialists. Please note that providing a cover letter is optional. However, we strongly advise applicants to include as much information as possible to their employment forms. Candidates should take their time with the final section of the Sherwin Williams job application form. They should go through each section and make sure that all the information they have included is accurate. If they have chosen to use the data-fill tool, they should make sure that the information transferred by the portal is correct and complete. They should be particularly attentive to their contact details because the Sherwin Williams employment specialists will use these to contact them. The Sherwin Williams applications are analyzed by the HR specialists to determine the best-suited candidates for each of the open positions at the company. The applicants who are selected will then be called in for the interview process. Depending on the department and career level of their chosen positions, candidates may be asked to participate in one to four job meetings. The Sherwin Williams hiring managers will provide them with their final answer at the end of the interview process. Candidates for Sherwin Williams employment are expected to be properly informed about the company’s development, as well as their main competitors in the general building materials industry. We advise applicants to use the company’s official website as their main reference and find out as much as possible about Sherwin Williams. This will help them provide better answers on their job meetings and make a good impression to the Sherwin Williams employment specialists. Job seekers must also be ready to answer interview questions about their professional experience. To be prepared for this type of questions, they should go through their resumes and try to correlate their experience with the job requirements of their chosen positions. They should expect to be asked general questions, psychological questions, as well as job-specific questions. Candidates should practice their interview answers as part of their preparation process. This will improve their performance considerably because they will get a chance to make correlations between their experience and the requirements of the Sherwin Williams jobs they are applying for. We have selected a few general questions that have been previously used in Sherwin Williams interviews. These will give the applicants an idea of the tone of the interview. Take a look! Why did you apply at Sherwin Williams? What do you know about Sherwin Williams? What do you think makes you prepared to meet the requirements of your chosen Sherwin Williams career? Would you be willing travel or relocate for work-related purposes? What are your concerns about your chosen position? Could you please tell me about a time when you have put your leadership skills to good use? What can you tell me about yourself that is not included in your Sherwin Williams application from?